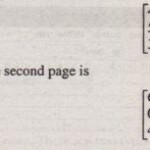 You can find the answers to problems marked with an asterisk at he end of the text. values starting at 5 and ending at 28. b. Use two methods to create the vector x having a regular spacing of 0.2 starting at 2 and ending at 14. . c. Use two methods to create the vector x having 50 regularly spaced values starting at -2 and ending at 5. 10 and ending at 1000. b. Create the vector x having 20 logarithmically spaced values starting at 10 and ending at 1000.
contains the values 3x and whose second row contains the values x – 20. 4. ‘ Repeat Problem 3 but make the first column of A contain the alues 3x and the second column contain the values 5x – 20.
a. Create a vector v consisting of the elements in the second olumn of A.
b. Create a vector w consisting of the elements in the second row of A.
through fourth columns of A.
through fourth rows of A.
and the last three columns of A.
a. Find the maximum and minimum values in each column. b. Find the maximum and minimum values in each row. a. Sort each column and store the result in an array B.
b. Sort each row and store the result in an array C.
c. Add each column and store the result .in an array D.
d. Add each row and store the result in an array E.
10. Consider the following arrays. 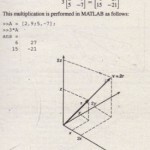 Write MATLAB expressions to do the following. a. Select just the second row of B.
b. Evaluate the sum of the second row of B.
c. Multiply the second column of B and the first column of A.
by the first three elements of the third column of B.
b. Use MATLAB to find the largest element in each layer of D and the largest element in D.
a. Find A +B + C.
b. Find A – B + C.
a. Find the result of A times B using the array product. b. Find the result of A divided by B using array right division. c. Find B raised to the third power element-by-element. 14. * The mechanical work W done in using a force F to push a block through a distance D is W = F D. The following table gives data on the amount of force used to push a block through the given distance over five segments of a certain path. The force varies because of the differing friction properties of the surface. (b) the total work done over the entire path. a. How much did each worker earn in the week? b. What is the total salary amount paid out? c. How many widgets were made? d. What is the average cost to produce one widget? e. How many hours does it take to produce one widget on average? f. Assuming that the output of each worker has the same quality, which worker is the most efficient? Which is the least efficient? . dives 20 ft, swims east 30 ft, and then south 55 ft. a. Compute the distance between diver 1 and the starting point. b. How far in each direction must diver 1 swim to reach diver 2? c. How far in a straight line must diver 1 swim to reach diver 2? Use MATLAB to find (0) the compression x in each spring and (b) the potential energy stored in each spring. b. What is the total spent in May? in June? in July? c. What is the total spent on each material in the three-month period? d. What is the total spent on all materials in the three-month period? compare the result with the limiting value. Repeat for 51 and 101 terms. Do this by generating a vector of integers to use as the exponent of x; then use the sum function. b. Repeat part (Q) using x = -0.63. .
part costs $400/m2• Plot the cost versus r for 2 ::: r ::: 10m, and determine the radius that results in the least cost. 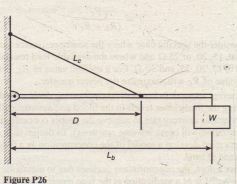 Compute the corresponding height h.
selecting the value of the load resistance RL. 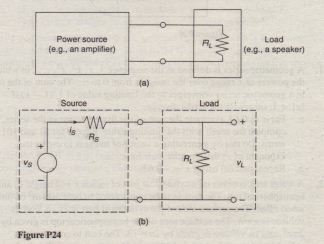 which value of RL will maximize the power transfer. a concentration will cause adverse reactions). To design such devices, engineers must develop a model of the concentration as a function of the dosage and of time. where D is the distance of the cable attachment point to the beam pivot. much can D vary from its optimal valuebefore the terision T ” .increases 10 percent above its minimum value? 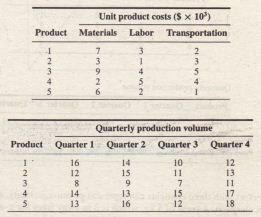 transportation; (b) the total material, labor, and transportation costs for the year; and (c) the total quarterly costs. determine how much raw material of each type is needed to produce 1000 tons of each alloy. and the category costs. Run the file for the case where the unit labor costs are $3000, $7000, $4000,· and $8000, respectively. 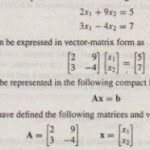 a. Compute a matrix P whose 11 rows are the values of the position vector r evaluated at the times t= 0,0.5, 1, 1.5, … 5 s.
b. What is the location of the mass when t = 5 s? c. Compute the angular momentum vector L. What is its direction? F = [10, -5,4] N, r = [- 3, 7,2] m, and D = [6,8, -7]. 35. 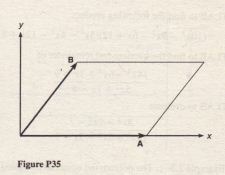 The area of a parallelogram can be computed from IA x BI, where A and B define two sides of the parallelogram (see Figure P35). 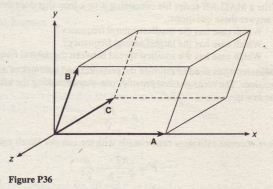 Compute the area of a parallelogram defined by A = 7i and B = i + 3j . and C = 3i – 2k. milliamps; the variable x represents voltage in volts. (1) k = 4 X 106 N/m; (2) k = 5 X 106 N/m; and (3) k = 6 X 106 N/m. a. ‘Which case has the smallest natural frequency? b. Which case has the largest natural frequency? c. Which case has the smallest spread between the natural frequencies? equation for 1 mol of Ch at 300 K and a pressure of 0.95 atmosphere . a. 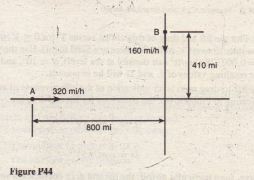 ·Obtain the expression for thedistance D between the aircraft as a ,function of time. Plot D versus time until D reaches its minimum value. Plot the lift and drag ~f this airfoil versus V for 0 :::::V :::::150 mi/hr (you must convert V to ft/sec; there are 5280 ft/mi). Use the values p = 0.0 02378 slug/fr’ (air density at sea level), a = 10°, and S = 36 ft. The resulting values of L and D will be in pounds. Plot L / D versus a for -2° ::::a: :::2::2°. Determine the angle of attack that maximizes L/ D.
b. What are the contents of the (1,1) element in the (2,1) cell in this array? 50. a. Create a structure array that contains the conversion factors for converting units of mass, force, and distance between the metric SI system and the British Engineering System. • The number of meters in 24 ft.
. • The number of feet in 65 m.
• The number of pounds equivalent to}8 N.
• The number of newtons equivalent to 5 lb. • The number of kilograms in 6 slugs. • The number of slugs in 15 kg. 52. . Edit the structure array created in Problem 51 to change the maintenance data for the Clark St. bridge from 1998 to 2000.